Around our way, all too often people sell farms to people who tear down the buildings to put up mansions, subdivide the land, hire contractors and subs from wherever is cheapest, and move people in who have no appreciation for the people and the culture they are uprooting. Fine. That’s what a lot of folks like to call “Progress” and if it were so bad, they would not sell their land. Hey, it’s a free country and all that. But this is a different kind of project. An old farmhouse is resting on a warped bed that can no longer support it. But this house is not going to be torn down. 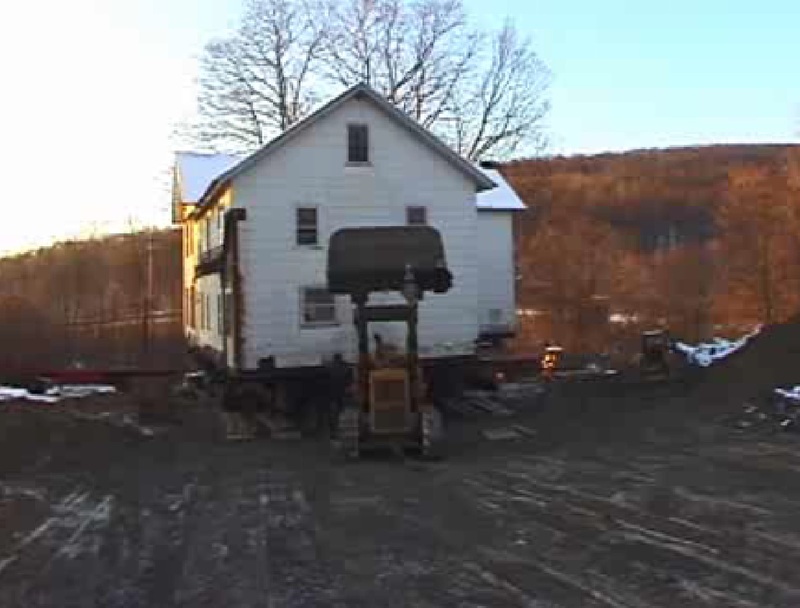 It will be restored after it is jacked up and moved onto a new foundation and site. The land will still be used for farming and has already been put into a land conservancy. The heating and cooling will be geothermal and, knowing the history of the developer, it will also use energy from the sun. Yes, developer! It is part of a development project. For sale. The people who will be doing the renovation are local. In fact, they are mostly my friends and neighbors. So I have a vested interest in the successful outcome of this project. But that is not why I filmed it and put it up on the Internet. I offer it as an example, a story that, I hope, others will tell about other places. Great story and video. I grew up in Poughkeepsie and Tom Allen is my cousin. I have not seen him for along time. Can’t wait to see his work on the house, if that is part of your plan. Pine Plains area is so beautiful and glad to see others appreciate the Hudson Valley area. Would love to be able to connect with Tom . If you would be kind enough to share my address with him, I would so appreciate it. Keep up the good work!